I have just had a chance to watch the new TV advertisement from Microsoft featuring Bill Gates and Jerry Seinfeld. This ad campaign debuted in the U.S. on September 4, 2008 as an attempt to reconnect Microsoft with the customers around the globe. In fact, I couldn’t make any sense out of this commercial. Anyway, according to Microsoft PressPass, there will be more commercial and advertisement coming up and this first ad is intended to spark the conversation about Windows brand. Well, it might be effective in the sense that people will talk about this ad as I did here in my blog. At least, the advertisement served its purpose. We’ll have to wait and see what is next for Microsoft and its competitors. You may check out the ad here. I always enjoy watching Olympics game as it shows achievement of human in sport. It gives an inspiration that you could win if you try hard enough and nothing is impossible. The Games of the XXIX Olympiad or the Beijing 2008 Summer Olympics Game proves to be phenomenal as the records were shattered and the history has to be rewritten. 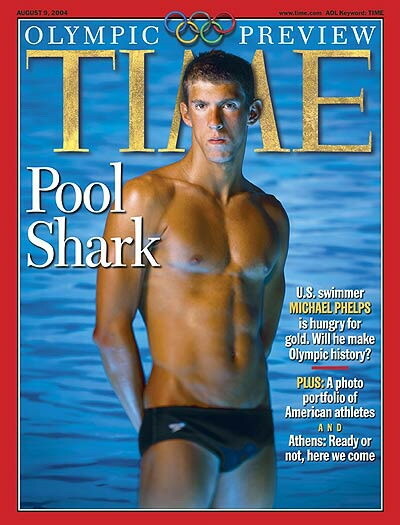 Halfway into the game, after the eye-popping grand opening on 08-08-2008 had been a talk of the town, Michael Phelps, the 23-year-old U.S. swimmer became the first man in the history to win 8 gold medals from 8 competitions that he competed in. More remarkable thing is the fact that he set up the new world records on all of his wins except one event (100 m Butterfly) which he set the Olympic record anyway. In fact, the event was exciting to watch as he won his opponents by a mere 0.01 second – the least margin possible. In whatever way we see, Michael Phelps’ achievement will be remembered and be an inspiration for the younger generation to challenge in the years to come. It might be a coincident but number 8 is considered as a lucky number in Chinese language. Michael Phelps’ 8 attempts for 8 gold medals would definitely be a charm for the Beijing Olympics game. Paris Hilton for U.S. President??? This is a funny story that merged U.S. politics and pop-cultures together It all began when the presumptive Republican presidential candidate John McCain aired a TV campaign ad comparing his opponent, the presumptive Democrat presidential candidate Barak Obama, as a celebrity like Britney Spears and Paris Hilton. It was an attempt to devalue Obama’s status. However, the ad seems to backfire as Paris Hilton responded to the ad with her “hot” policy. CNN and BBC repeatedly played with the story. Well, at least, it is enjoyable to see the light side of this presidential campaign. Who knows? Paris Hilton and Rihanna (???) her running-mate for Vice-president might get the post at the White house (even in the next Hollywood spoof films). We may even see some souvenirs or T-shirts bearing the sign “Paris for President!” in the near future. It’s very interesting to see the dynamics of politics and pop-cultures that go hand-in-hand. Portland celebrates its 101st annual Rose Festival in 2008 from May 29 to June 8. The event was named as the Best Festival in the World by the International Festivals & Events Association in 2007. The event is organized by the non-profit Portland Rose Festival Association with the purpose of promoting the Portland region. I went to the WaMu Fireworks Spectacular which was the kick-off event of the festival on Friday 30 May 2008. The firework is the state of Oregon’s biggest firework show and it was indeed spectacular as its name. I also visited the Funtastic traveling carnival at the Waterfront Village. It was a fantastic and enjoyable night.